Cops shake down youth, 20; $3,830 stolen! The latest embarrassment to the Police Department – the shakedown of Thyrell Hyde, 20, by a group of police officers – has intensified the impression held by some citizens that there is not much of a difference between some police officers and the criminal element in the country. Some members of the Department have gotten themselves into serious trouble after they were implicated by Hyde in what seems to be a case of robbery and extortion carried out by police officers. The incident occurred over six weeks ago, around midnight on September 8, and according to the victim, Hyde, he has decided to come to the media because the rogue cops have not yet been made to face the consequences of their actions, part of which were caught on a bank surveillance camera. Hyde told Amandala that he and three of his friends, two females and a male, were hanging out in the Buttonwood Bay area of Belize City on the abovementioned date when they were approached by a group of police officers who went up to them and told them to get out of their car. The officers told the two females to go to the back of the vehicle and proceeded to search the two males (Hyde and his friend) and search the vehicle that they were in. During the search, Hyde said, the police officer who searched him removed the items that he had in his pocket, including his keys, his phone, and $70, which the officer took. While that was happening, two other officers were searching the car, one on the driver’s side and one on the passenger side. The officer that was searching the passenger side asked Hyde to open the glove compartment, which was locked, and when it was opened, the officer took out a manila envelope that contained contracts and receipts that Hyde had signed, along with some other business documents for a board game that he was supposed to launch at the Expo, which was to take place the following weekend. According to Hyde, the envelope also contained $3,500, which he was going to use to get his board game printed. Hyde stated that the officer held on to the envelope, while another officer decided to go and search the trunk of the vehicle. According to Hyde, he had a kitbag in there with some clothes, which they also searched and left scattered in the back of the vehicle. After the officers concluded their search, Hyde said, they told him and his friend that they would take them to the police station, but told the two females to go on their way, unless they wanted to be taken to the station as well. Thyrell Hyde then questioned the officers as to why he and his friend were being taken to the police station, especially since the officers did not find anything illegal. Hyde said that one of the officers told him that he (Hyde) could “help himself”, and when he asked the officer “What do you mean?” the officer allegedly replied that the $70 that they took could not be split among all of them. At that time, Hyde said, he realized the magnitude of the situation – that it was his money that the policemen were after, and that’s when Hyde told the officer that he had already taken his money. The officer then defiantly replied that they did not take anything from Hyde, and instead suggested that Hyde gave the money to them. Thereafter, another one of the officers who had searched the car produced Hyde’s ATM card and asked “Who is Thyrell Hyde?” When Hyde answered that it was him, the same officer who had said that the $70 couldn’t be split amongst them asked the others if they should take Hyde to the ATM, Hyde related. After a brief pause, Hyde said, the others agreed and ordered him into the back seat of his car. 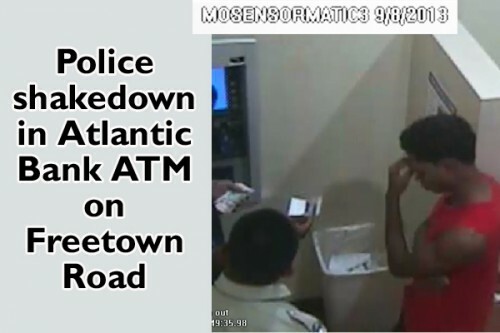 The two officers who had searched the car then took Hyde to the Atlantic Bank ATM on Freetown Road and told him to accompany them inside the ATM. 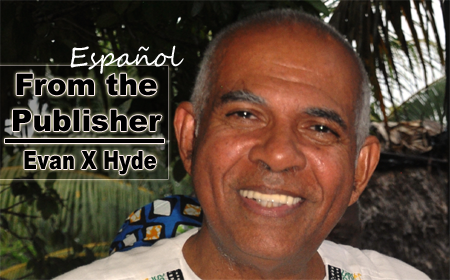 One of the officers, who Hyde described as being of Creole descent and wearing plain clothes, demanded Hyde’s pin number and proceeded to do a balance inquiry. The officer then arbitrarily took out $260 from the account, according to Hyde, and they exited the ATM. He was then put back in the back seat of his car, which is when he noticed that the police vehicle with the other officers was parked on the other side of the street, across from the ATM. The young man said that the policemen then drove them back down Coney Drive and took them onto a dark side street that runs parallel to the Belize Chamber of Commerce building. They then drove straight down past the compound of BERT Ambulance near to end of the street, where, Hyde said, he and his friend were released in an area close to some mangroves. Hyde said that during the ordeal, he was fearful for his life, especially since the officers threatened to arrest him if they ever saw him again. It wasn’t until he went to the place that he was staying that Hyde realized that the officers had not given him back the manila envelope that they had taken. He said that he didn’t mind if they had only taken the $70 and the money from the ATM, but he needed the money that the envelope contained to pay for his merchandise to be printed for the Expo. Hyde alleges that the police officers stole a total of $3,830 from him, and that he had to get a loan to be able to get some of the board games printed. The following day, Hyde said, he went to report the matter to the Ombudsman’s Office, where he was assisted in retrieving the video footage from the bank. He said that he was later informed that the Director of Public Prosecutions is scheduled to meet with the Professional Standards Bureau of the Police Department to determine how the department should proceed in this case. That meeting is reportedly scheduled for November 4, 2013. Hyde said that in the meanwhile, even with the video evidence, he fears that the officers may not be charged for their crime, although he has had to make numerous trips all the way from Belmopan to Belize City to identify the special constable who was involved. He said that it is in the best interest of the officers and the department to give back what was taken from him, and confirmed that he has obtained the services of an attorney to pursue the matter. 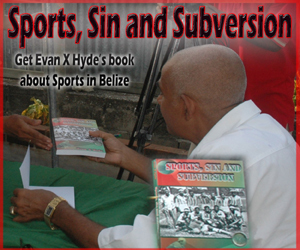 Hyde believes that he was a victim of kidnapping, robbery and extortion, and plans to file a lawsuit against the Belize Police Department if he is not compensated. 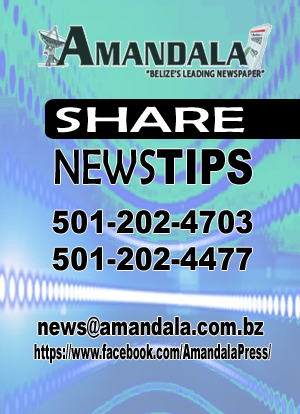 Amandala contacted the Professional Standards Branch of the Belize Police Department, who assured us that they are investigating the complaint. They told us that the investigation is still ongoing, however, and that the file will be handed over to the DPP at the conclusion of the investigation.